The word "Plakoto" means to hit and block your opponent. Initially all the chips occupy a single space. The collecting area is opposite to the base area. As with the portes game, your collecting area is your opponents base area. While you move your chips, you may hit your opponent's single chip. If you do hit a single chip, that chip is blocked, and your opponent can not move it. You may place as many chips as you like on top of your opponent's blocked chip. In the rare case of a chip being blocked in the collecting area, you can collect all the other chips, and wait for this one until it is set free. The blue player has hit one chip (a blue chip lies on top of a red chip). The red player can not move that chip. 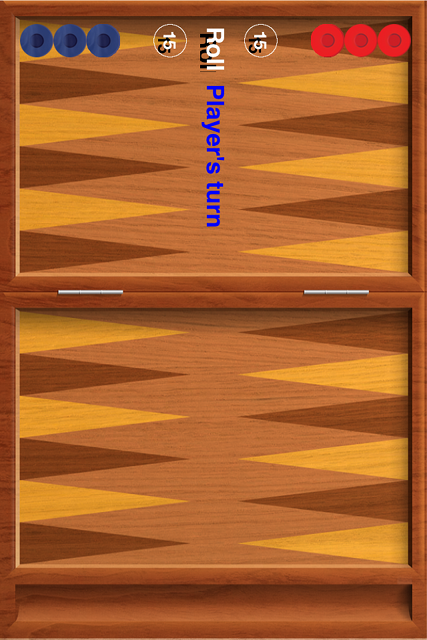 Also, in the current game, the blue player can block one more chip of the red player. 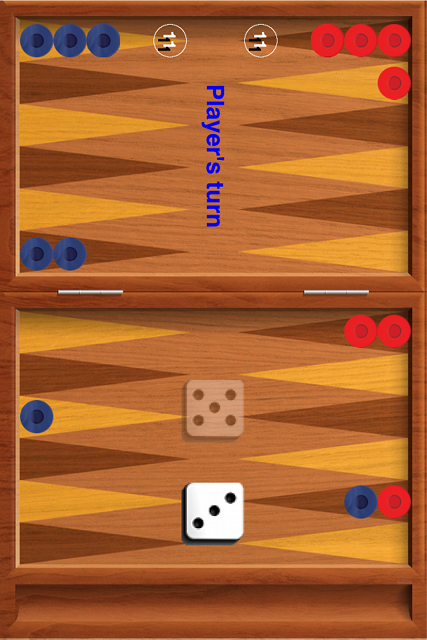 Similarly, the red player can block one chip of the blue player.